The Universal monsters have become iconic since their first appearances. Lon Chaney as The Phantom of the Opera (1925) brought the tragic character on screen. Bela Lugosi as Dracula (1931) provided the baseline for future cinematic vampires. Boris Karloff as The Mummy (1932). Claude Rains as The Invisible Man (1933) Lon Chaney Jr. as The Wolfman (1941). But the most endearing character may have been Karloff as Frankenstein’s Monster, in the 1931 Frankenstein. Karloff portrayed the Monster as a child, with a wonder about him as he discovers the world around him, turning the character from the vengeful being in Mary Shelley’s novel to a tragic victim hunted down by villagers. The success of Frankenstein led to sequels, including The Bride of Frankenstein (1935), The Son of Frankenstein (1939), and Abbott and Costello Meet Frankenstein (1948). Classics beget spoofs, much like the Abbott and Costello movie. With a film that has permeated pop culture, further parodies were due. Thus steps in Gene Wilder. 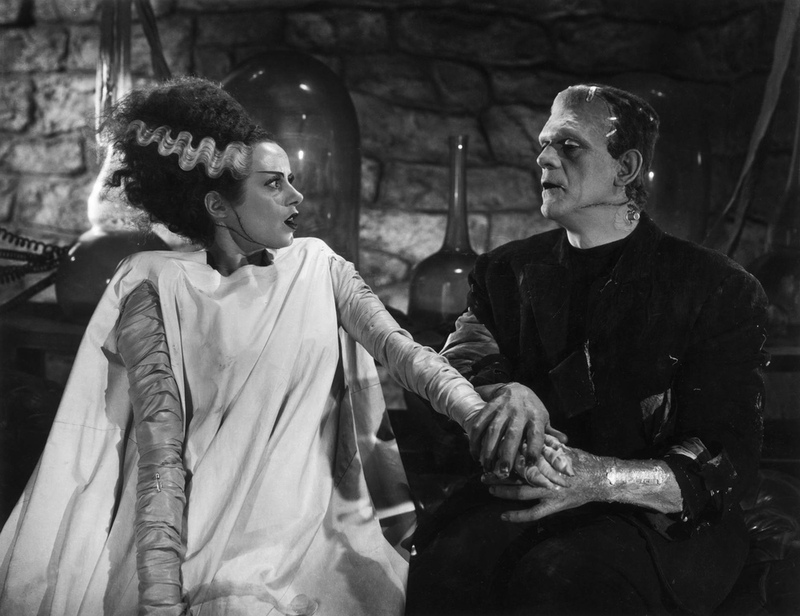 Because both Frankenstein and Bride of Frankenstein had scared him as a child, Wilder had an idea for a script that rewrote the ending of both movies. He had set it aside when his new agent, Mike Medavoy, suggested that Wilder team up with Peter Boyle and Marty Feldman for a movie, actors that Medavoy also represented. Wilder reworked a scene from his script and submitted it. The resulting movie, Young Frankenstein (1974), was co-written by Wilder and Mel Brooks, with Brooks directing it. Wilder starred as Dr. Frederick Frankenstein, pronounced “Fron-ken-steen” as he tried to distance himself from his grandfather Victor. Boyle played the Creature, portraying the Creature with the same child-like approach that Karloff used. Feldman played Igor, pronounced “Eye-gor”, the grandson of Victor Frankenstein’s assistant. Frederick is a famed neurologist, teaching at a university when he is found by a lawyer for his grandfather’s estate. Frederich makes the trip to Transylvania, meeting Igor and Inga, played by Teri Garr. Igor takes Frederick and Inga to the Frankenstein castle, which has been maintained by Frau Blucher, played by Cloris Leachman. Blucher is excited for Frederick’s visit; it’s a chance for Victor’s experiment to live again. The movie then follows the beats of the original movie, from the theft of a suitable body for the Creature to raising the body up to be hit by lightning to even the Creature meeting the little girl. All through this, though, are bits of humour, which is the true draw of the film. Young Frankenstein diverges from the original when Frederick makes the decision to take care of the Creature, unlike Victor’s attempts to subjugate his Monster. Frederick’s efforts lead to a song and dance number that goes wrong, leading to angry villagers with torches and pitchforks. Even with that, everyone gets a happy ending, from Frederich and Inga to the Creature and Elizabeth, Frederich’s former fiancée played by Madeline Kahn, and even the angry villagers. Beyond just aesthetics, the cast raised a good movie into a comedy classic. Wilder, Boyle, and Feldman worked well together. Wilder admitted in a bonus feature on the Young Frankenstein DVD that several roles were good until their actors took them, whereupon the roles became great. Kahn was originally thought of as Inga, but she preferred Elizabeth. Garr read for Inga in a German accent. Kenneth Mars took the role of Inspector Kemp and elevated what was written in the script. Leachman as Frau Blucher dominates her scenes. Even Gene Hackman in his role as the Blind Man is more than what was written for the scene. 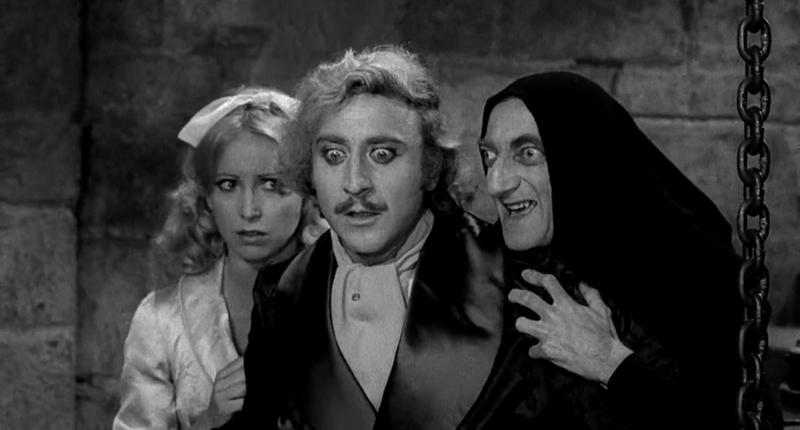 While Young Frankenstein is a parody, it builds off the original, using Frankenstein as the base to hang the jokes on while still keeping the mood. 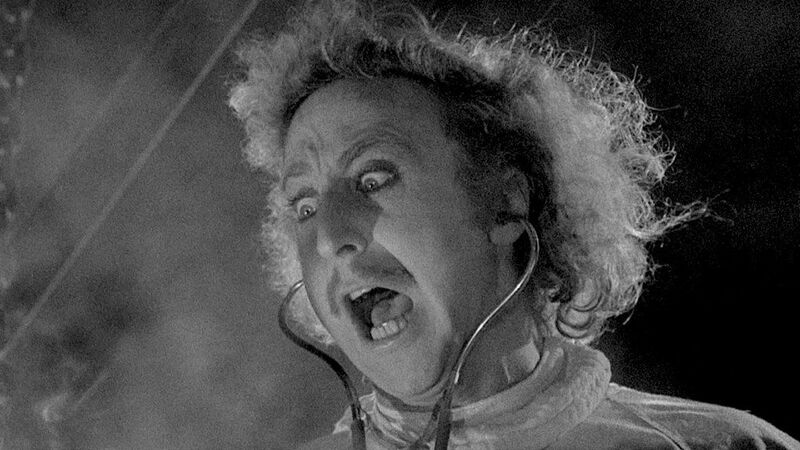 Young Frankenstein works as a sequel of the original as much as it does a parody. The effort put in by Gene Wilder and Mel Brooks pays off.